Voices of the Book: The people. Their stories. George Gray holds April, an orphaned calf. Gray was a critical member of the team that successfully nursed her to health. I heard George Gray climbing the cement stairs of the Gulfarium’s Administration Office before I saw his face. So began our first interview with a former Gulfarium employee. A man among the many who built the park, its reputation and its legacy. 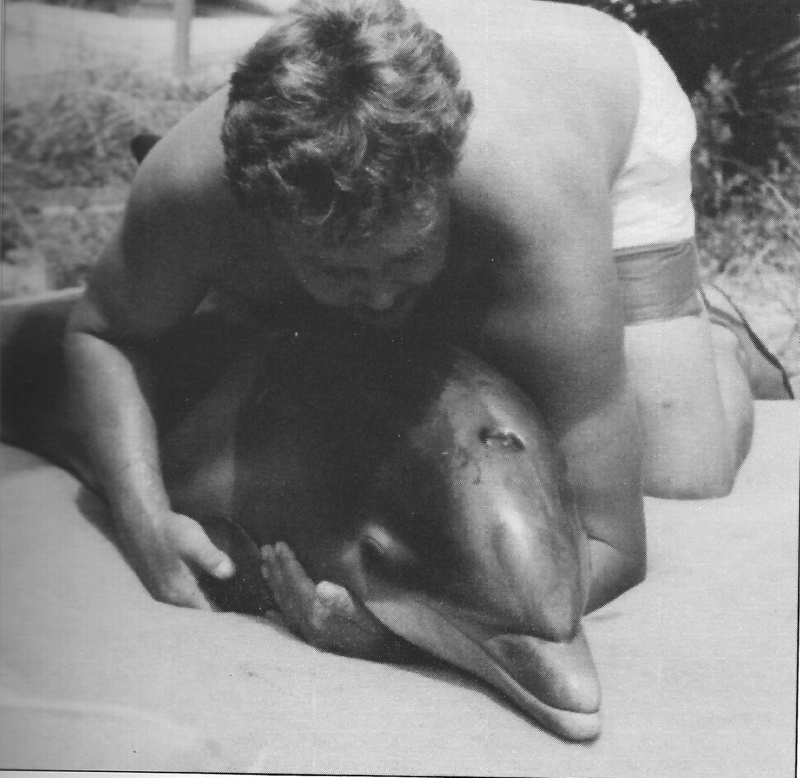 That first interview with George Gray lasted well into the evening and concluded with the inspirational and heart-warming confession that George takes immense pride in the work he put into caring for and performing with the Gulfarium animals across three decades. And he had one hell of a lot of fun! We sat down with many wonderful people while compiling the stories and photos for the book. Each interviewee gushed with immense joy while remembering the times when their lives revolved so intensely around the animals. This blog is the perfect place to introduce our readers to the voices that told us the many stories found within the book. Stay tuned to hear the stories of George Gray, Ron Bradford, Steve Shippee and others! Of course, if you have stories and we didn’t get to you in time to include yours in the book, this blog is the perfect place to share your stories as well! We now offer online sales! If you would like a personally signed copy of Images of America: Gulfarium Marine Adventure Park for just $24.50 (including shipping and handling), click here!